We’ve been seeing some stories on social media claiming that the cold winter we’ve been having might reduce or stop the emerald ash borers and Japanese beetles come spring. Wouldn’t that be great?! We decided to ask the expert: one of our Certified Arborists, Bernie Bailey! Here’s what he had to say about the issue. Q) Bernie, are the rumors true? How cold is cold enough? A) I wish! It is true, however, that the cold weather will have some sort of an impact on these insects. There will be some mortality that may help slow the rate of population expansion, but it won’t be enough to stop the inevitable spreading of these pests. A) Insects that live in climates that experience sub-zero temperatures in winter have an amazing mechanism to supercool. They create chemicals to prevent their bodies from freezing at temperatures far below 32 degrees. Studies in Canada indicate it may require exposure to temperatures of -23 degrees before a significant number of emerald ash borer larva die. Even still, the longer these insects are in a climate that has sub-zero temperatures the more they adapt. The emerald ash borer comes from northern China where the winter temperatures are colder than here in Nebraska. The Japanese beetles have been here for about ten years now and appears to be adapting well. There are other factors that figure in the favor of the insects. The emerald ash borers’ larva are insulated by the tree bark. The Japanese beetles’ larva are 8 – 12” under the ground and get additional insulation from the snow cover. Lastly this has not been an unusually cold winter for eastern Nebraska. Q) Is there anything we can do to deter these pests? A) I am not forecasting a bumper crop of insect pest for 2019, but let’s be prepared to protect our trees, shrubs and plants. 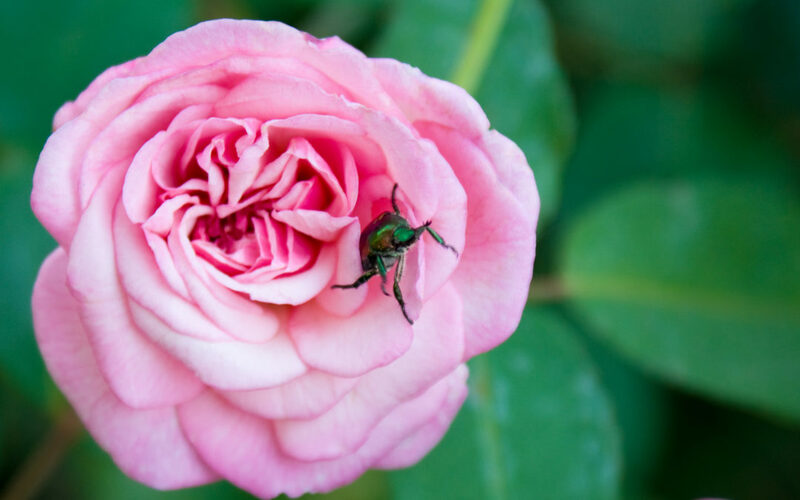 If you would like some help with protecting your landscape plants from insect pest this year, give Jensen Gardens a call and we will be happy to help you out!